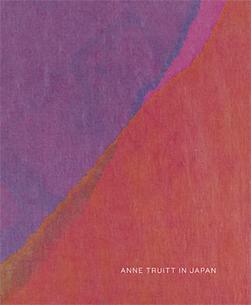 Anne Truitt lived in Tokyo from 1964 to 1967. Although pivotal both creatively and personally, this period in the artist's life has remained largely unexamined. This hardcover catalogue, published on the occasion of the Matthew Marks Gallery exhibition of the same title, brings to light the fascinating narrative of Truitt’s Japan years for the first time. The volume features an insightful essay by art historian Anna Lovatt, full-color plates of more than forty drawings, an extensive chronology illustrated with historical documents, and, reproduced here for the first time, photographs of the twenty-three sculptures Truitt made in Japan.